Synergetics’ fourth edition of “Industry in Focus” highlights a key service line product rather than a specific industry in this case. Strategic Sourcing plays an essential role within a company’s Supply Chain Management (SCM) program to make it more effective, serving as a catalyst for cost savings. Synergetics has the experience and expertise necessary to deliver sustainable SCM results to give such companies a competitive advantage within their particular industry. Globalization and a technology-driven world economy have elevated procurement to the spotlight, as executive teams across all industries search for savings opportunities. These opportunities remain elusive as product life cycles are more compressed, product variants have become more complex, and suppliers occupy a greater distribution footprint. 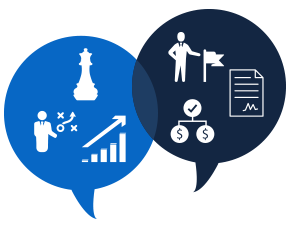 Strategic Sourcing is an active and growing element within the Synergetics suite of product and service solutions. Synergetics’ SCM subject matter experts bring first-hand experience and practical insights to deliver tangible implementation results. This web section begins to detail the framework of a typical Synergetics Strategic Sourcing project, from a spend analysis through supplier management practices. The accompanying linked article showcases three of Synergetics’ more recent Strategic Sourcing initiatives, each of which resulted in significant and sustainable bottom line savings. SCM has become an increasingly important factor in most organizations’ overall strategic growth plans. Best-in-class companies have dedicated leadership teams driving this agenda, of which one of these positions would most likely include a “Chief Procurement Officer,” for example. Companies face ever increasing competition and can no longer afford to leave sourcing out of their overall strategic plans to increase margin. 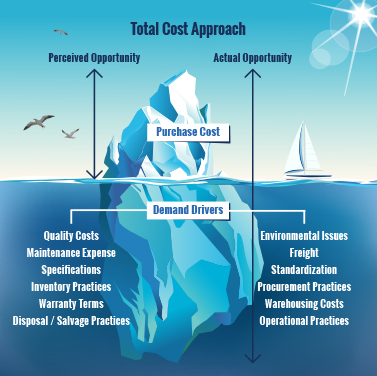 Taking a Total Cost Approach that looks beneath seemingly apparent purchasing costs, to identify areas and processes within the entire supply chain / procurement program, can help yield significant savings and close practice performance gaps. What amounts to additional revenue can be attributed to uncovering real savings. This is accomplished through the implementation of a robust, holistic SCM / procurement program versus the more traditional approach of mainly focusing on purchase cost considerations. Synergetics’ “Full Value Procurement” methodology ensures a successful approach and sustainable program implementation that differs from Traditional Procurement. This new Full Value program will yield ongoing results, add value, and elevate the entire sourcing function to a strategic and critical role within an organization. 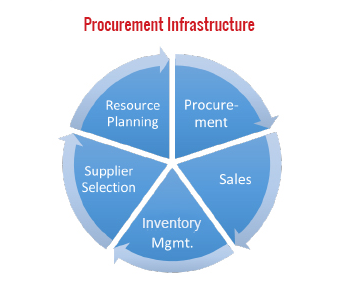 The foundation of any successful Strategic Sourcing project is having access to accurate and timely purchasing data. Historical data provides a baseline to establish KPIs and a means of tracking purchase price variance (PPV). Keeping detailed inventory records via stock keeping units (SKUs) is essential in moving to an automated system to better track purchases and decrease manual input. When analyzed thoroughly, purchasing data provides a wealth of insight into how well a company purchases. It prompts leadership to revisit the overall purchasing strategy and identify savings opportunities. This level of oversite will help to ensure that volume purchases and group pricing practices are being leveraged and utilized. A sourcing strategy provides an opportunity to revisit relationships with incumbent suppliers and establish new ones with new suppliers. Request for Proposals (RFPs) are an excellent way to level the playing field to yield competitive and best pricing among a group of suppliers. Ultimately, the majority of Strategic Sourcing savings opportunities will derive from supplier negotiations. Those who are unfamiliar with Strategic Sourcing practices might be apprehensive about or feel unprepared for the negotiation portion of supplier selection, but a well planned and executed RFP can serve to eliminate those doubts. A “Total Cost Approach” in the RFP process and as part of supplier negotiations aims to include a thorough set of decision making criteria such as all cost and logistical considerations, warranty terms, freight, quality and even environmental factors. Through this process, suppliers can be objectively evaluated and potentially eliminated by not meeting certain provisions and quality standards. Once the final suppliers have been chosen and contracts are in place, a new relationship is established with the opportunity to further evolve that relationship from a provider to more of a strategic partner. A company may choose to include supplier / partners in resource planning and work collaboratively to meet company growth requirements through consistent support and communication. For those companies with a best-in-class procurement process, the future is now! The following example illustrates how cost savings through Strategic Sourcing is directly equivalent to an increase in sales revenue. With two competing companies (A & B) selling identical items in the same manner (per the Prescribed Baseline), Company A implements a Strategic Sourcing process that reduces its COGS by 5%. In order to generate an equivalent margin using its current processes, Company B would have to sell 28% more volume than Company A. Although a relatively minor cost reduction was put in place through the Strategic Sourcing program for Company A, the effect on gross profit is significant so as to require a nearly six-fold improvement in sales for Company B based on current operations. In a time with businesses looking to cut expenses and explore other cost savings alternatives in a volatile market, many turn to Synergetics as a trusted and experienced partner that provides a comprehensive approach to procurement and elevates companies to best-in-class status. From a recent Synergetics engagement, it was during the analysis phase with a leading retail company that Synergetics identified the company spent 75% of cost of sales on procurement. By applying proven Full Value Procurement methodology and using conservative estimates of a 9% cost reduction, Synergetics projected that the company could quickly net and sustain a 6.75% total bottom line savings. A company that utilizes a disciplined approach to a well-structured SCM procurement program can in effect create another profit center for itself. “Synergetics’ Supply Chain initiatives were valuable to me as a new executive to the Capstone team. Their involvement allowed me to quickly establish solid strategic initiatives and they helped see these initiatives all the way through to completion. 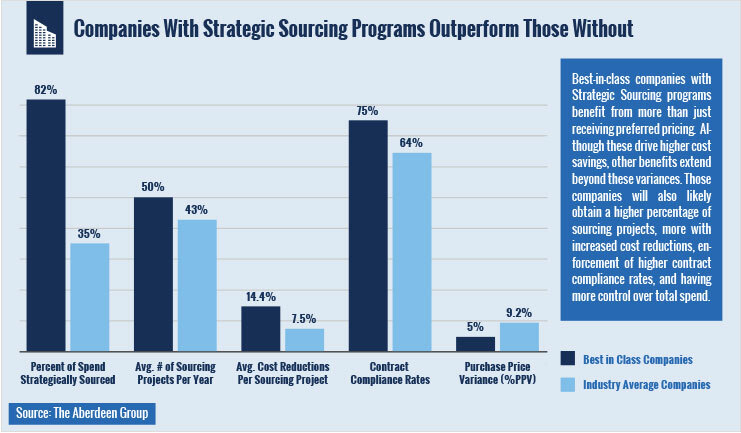 The implementation of effective Strategic Sourcing programs varies widely across businesses, even those similar in size and type operating in the same market sector. Performance gaps between those organizations that strategically foster an effective procurement program and those that don’t are very apparent, especially when compared against best-in-class standards.